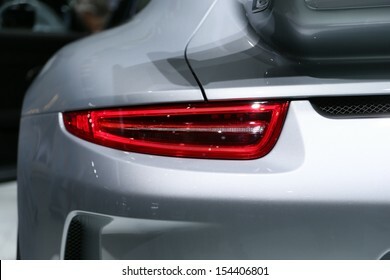 3,413 stock photos, vectors, and illustrations are available royalty-free. 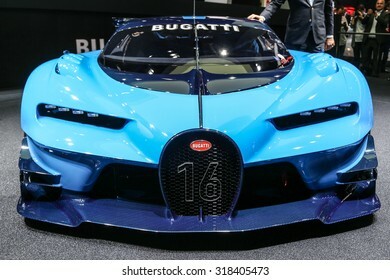 FRANKFURT - SEPT 15: Bugatti den Vision Gran Turismo shown at the 66th IAA (Internationale Automobil Ausstellung) on September 15, 2015 in Frankfurt, Germany. 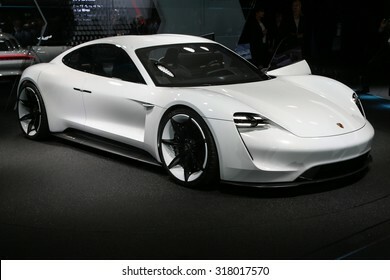 FRANKFURT - SEPT 16: Porsche Mission E Concept World Premiere shown at the 66th IAA (Internationale Automobil Ausstellung) on September 16, 2015 in Frankfurt, Germany. 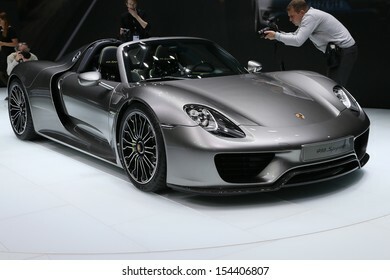 FRANKFURT - SEPT 10: Porsche 918 Spyder shown at the 65th IAA (Internationale Automobil Ausstellung) on September 10, 2013 in Frankfurt, Germany. 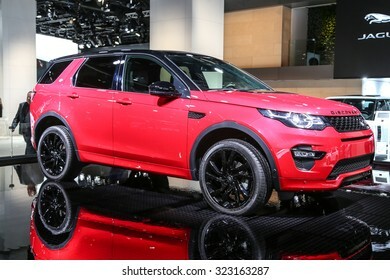 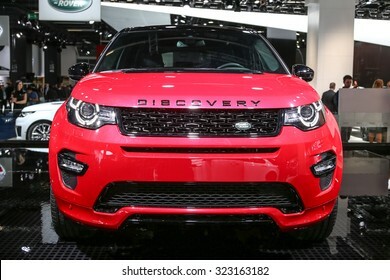 FRANKFURT - SEPT 15: Land Rover Discovery Sport shown at the 66th IAA (Internationale Automobil Ausstellung) on September 15, 2015 in Frankfurt, Germany. 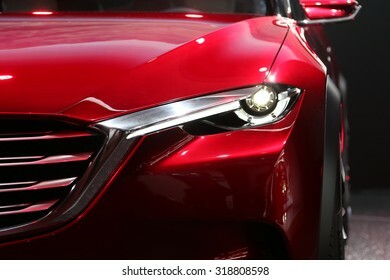 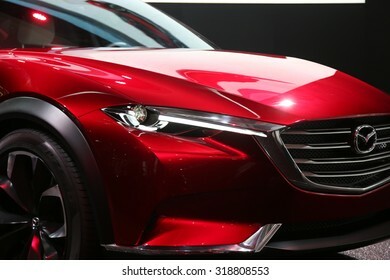 FRANKFURT - SEPT 15: Head light of Mazda Koeru shown at the 66th IAA (Internationale Automobil Ausstellung) on September 15, 2015 in Frankfurt, Germany. 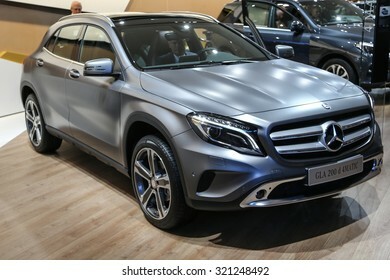 FRANKFURT - SEPT 15: Mercedes Benz GLA 200d 4Matic shown at the 66th IAA (Internationale Automobil Ausstellung) on September 15, 2015 in Frankfurt, Germany. 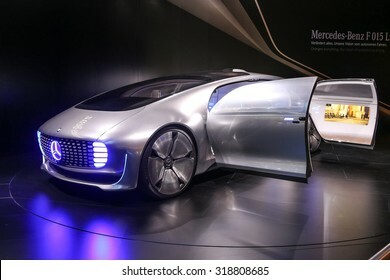 FRANKFURT - SEPT 15: Mercedes Benz F 015 Luxury in Motion Concept shown at the 66th IAA (Internationale Automobil Ausstellung) on September 15, 2015 in Frankfurt, Germany. 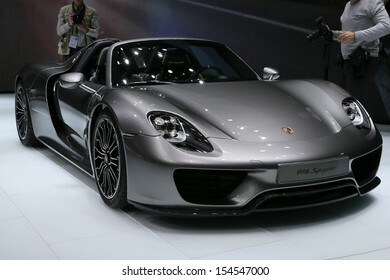 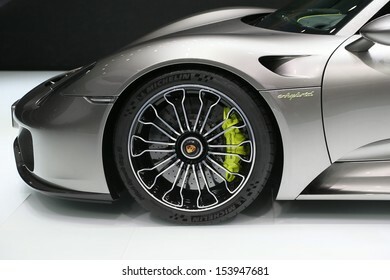 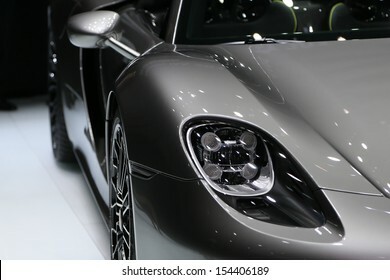 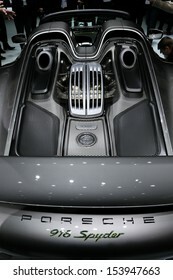 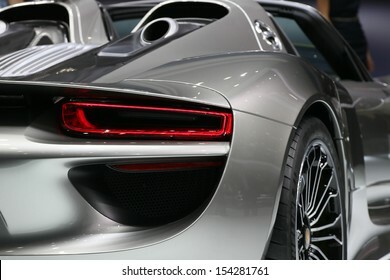 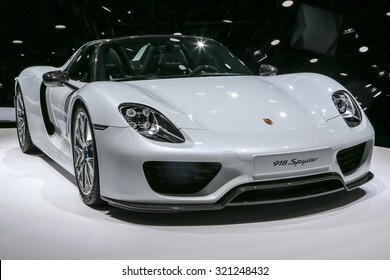 FRANKFURT - SEPT 15: Porsche 918 Spyder shown at the 66th IAA (Internationale Automobil Ausstellung) on September 15, 2015 in Frankfurt, Germany. 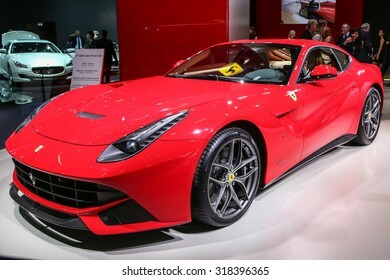 FRANKFURT - SEPT 16: Ferrari F12 berlinetta shown at the 66th IAA (Internationale Automobil Ausstellung) on September 16, 2015 in Frankfurt, Germany. 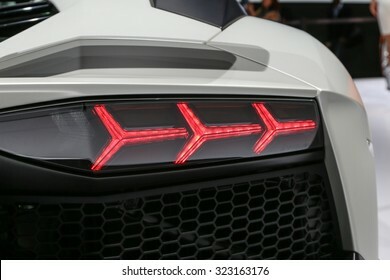 FRANKFURT - SEPT 15: Back light of Lamborghini Aventador LP 750-4 SV Roadster shown at the 66th IAA (Internationale Automobil Ausstellung) on September 15, 2015 in Frankfurt, Germany. 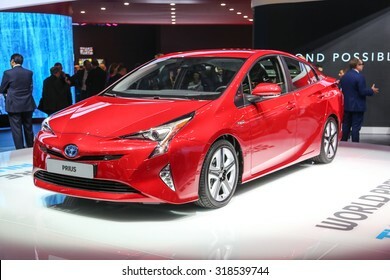 FRANKFURT - SEPT 15: Toyota Prius Hybrid shown at the 66th IAA (Internationale Automobil Ausstellung) on September 15, 2015 in Frankfurt, Germany. 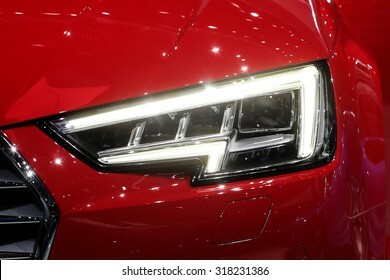 FRANKFURT - SEPT 16: head light of Audi A4 2.0 T quattro shown at the 66th IAA (Internationale Automobil Ausstellung) on September 16, 2015 in Frankfurt, Germany. 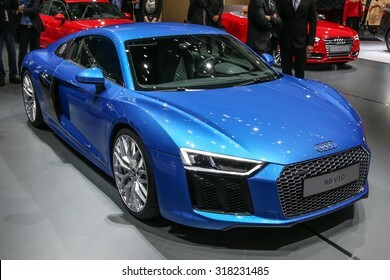 FRANKFURT - SEPT 16: Audi R8 V10 shown at the 66th IAA (Internationale Automobil Ausstellung) on September 16, 2015 in Frankfurt, Germany. 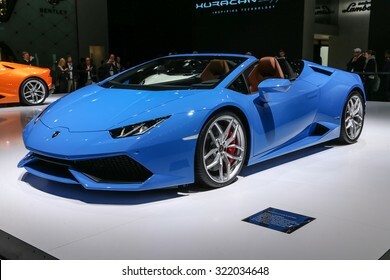 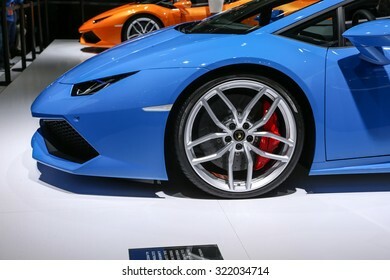 FRANKFURT - SEPT 15: Lamborghini Huracan LP 610-4 Spyder shown at the 66th IAA (Internationale Automobil Ausstellung) on September 15, 2015 in Frankfurt, Germany. 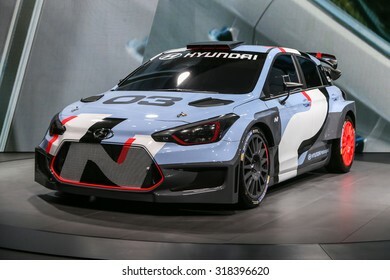 FRANKFURT - SEPT 16: Hyundai i20 WRC shown at the 66th IAA (Internationale Automobil Ausstellung) on September 16, 2015 in Frankfurt, Germany. 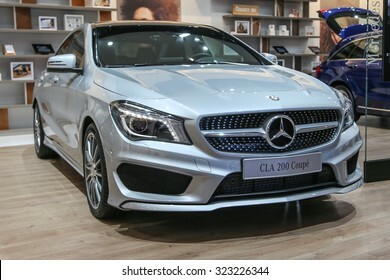 FRANKFURT - SEPT 15: Mercedes Benz CLA 200 Coupe shown at the 66th IAA (Internationale Automobil Ausstellung) on September 15, 2015 in Frankfurt, Germany. 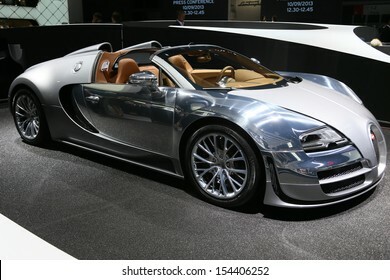 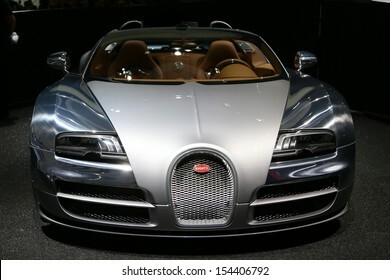 FRANKFURT - SEPT 10: Bugatti Veyron 16.4 Grand Sport Vitesse shown at the 65th IAA (Internationale Automobil Ausstellung) on September 10, 2013 in Frankfurt, Germany. 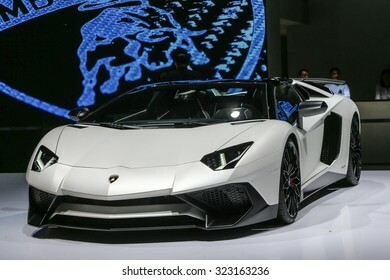 FRANKFURT - SEPT 16: Lamborghini Aventador LP 750-4 SV Roadster shown at the 66th IAA (Internationale Automobil Ausstellung) on September 16, 2015 in Frankfurt, Germany. 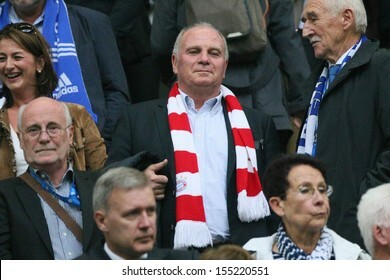 SCHALKE, GERMANY - SEP 21: Chairman Uli Hoeness? 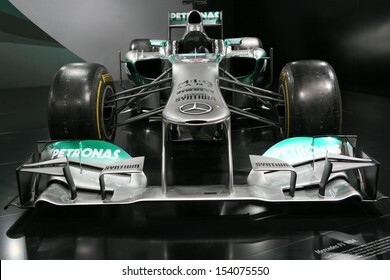 (FC Bayern Munich) during a Bundesliga match between FC Schalke 04 & FC Bayern Munich, final score 0-4, on September 21, 2013, in Schalke, Germany. 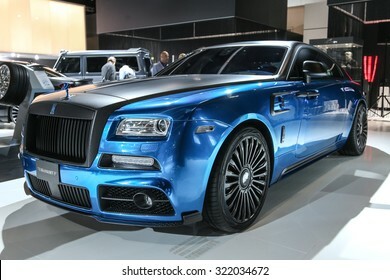 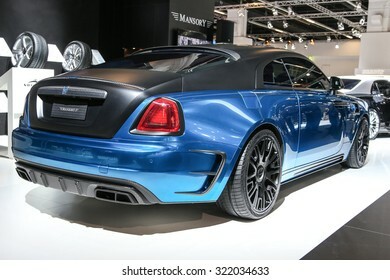 FRANKFURT - SEPT 15: Mansory Rolls-Royce Wraith shown at the 66th IAA (Internationale Automobil Ausstellung) on September 15, 2015 in Frankfurt, Germany. 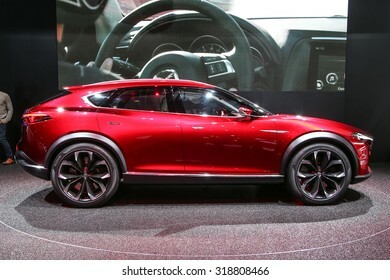 FRANKFURT - SEPT 15: Mazda Koeru shown at the 66th IAA (Internationale Automobil Ausstellung) on September 15, 2015 in Frankfurt, Germany. 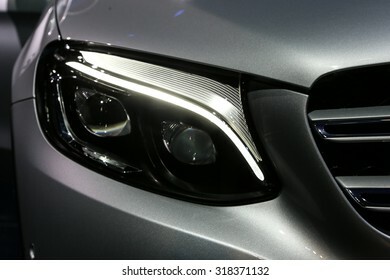 FRANKFURT - SEPT 16: Head light of Mercedes Benz GLC 220 d 4Matic shown at the 66th IAA (Internationale Automobil Ausstellung) on September 16, 2015 in Frankfurt, Germany. 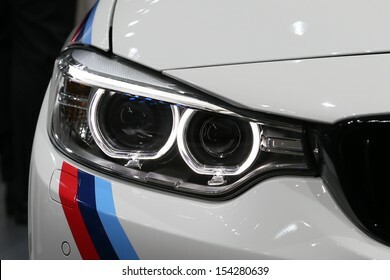 FRANKFURT - SEPT 10: New BMW 4-Series 435i Coupe wiht BMW performance accessoires shown at the 65th IAA (Internationale Automobil Ausstellung) on September 10, 2013 in Frankfurt, Germany. 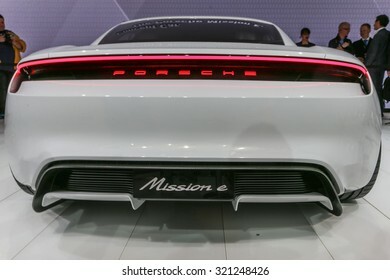 FRANKFURT - SEPT 16: Lights of Porsche Mission E Concept World Premiere shown at the 66th IAA (Internationale Automobil Ausstellung) on September 16, 2015 in Frankfurt, Germany. 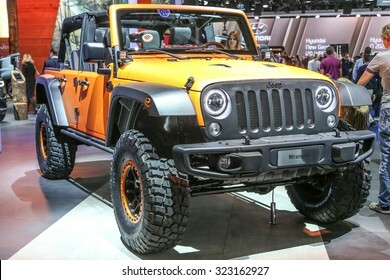 FRANKFURT - SEPT 15: Jeep Wrangler Unlimited Rubicon 2.8 CRD shown at the 66th IAA (Internationale Automobil Ausstellung) on September 15, 2015 in Frankfurt, Germany. 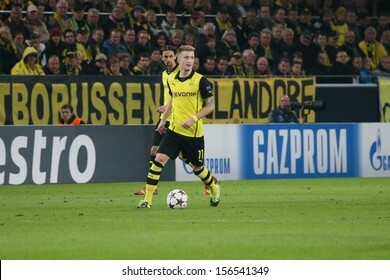 DORTMUND, GERMANY - OCT 1: Marco Reus (BVB) during a Champions League match between Borussia Dortmund & Olympique de Marseille, final score 3-0, on October 1, 2013, in Dortmund, Germany. 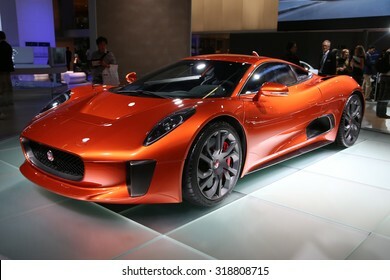 FRANKFURT - SEPT 16: Jaguar C-X75 "Spectre" shown at the 66th IAA (Internationale Automobil Ausstellung) on September 16, 2015 in Frankfurt, Germany. 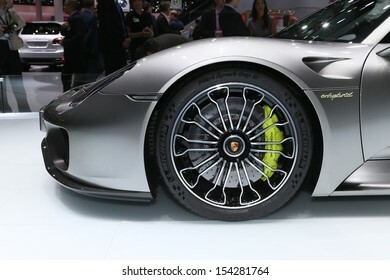 FRANKFURT - SEPT 16: Porsche 911 GT3 RS shown at the 66th IAA (Internationale Automobil Ausstellung) on September 16, 2015 in Frankfurt, Germany. 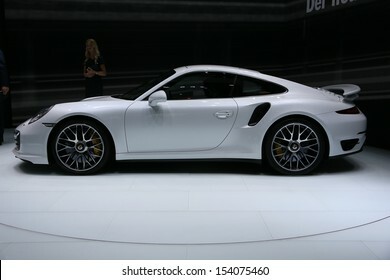 FRANKFURT - SEPT 10: Porsche 911 Turbo S shown at the 65th IAA (Internationale Automobil Ausstellung) on September 10, 2013 in Frankfurt, Germany. 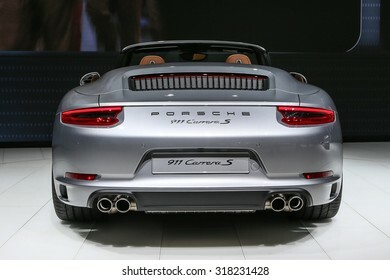 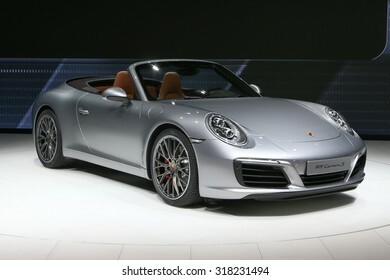 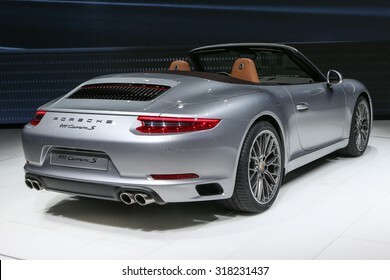 FRANKFURT - SEPT 16: Porsche 911 Carrera S Cabrio shown at the 66th IAA (Internationale Automobil Ausstellung) on September 16, 2015 in Frankfurt, Germany. 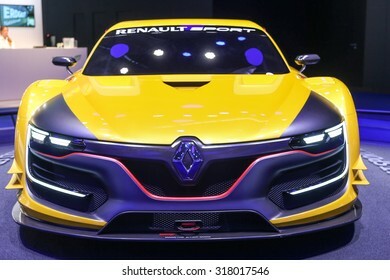 FRANKFURT - SEPT 16: Renault Sport R.S. 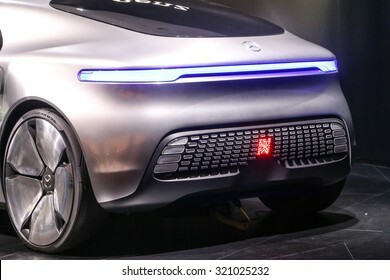 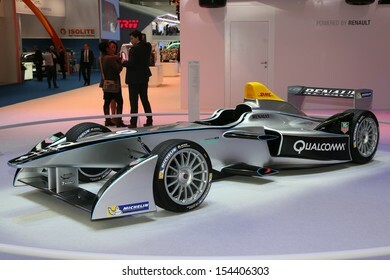 01 shown at the 66th IAA (Internationale Automobil Ausstellung) on September 16, 2015 in Frankfurt, Germany. 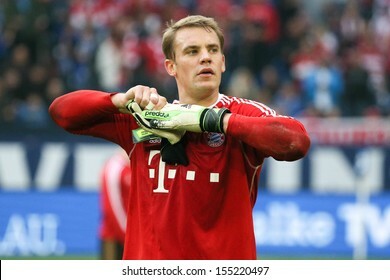 SCHALKE, GERMANY - SEP 21: Manuel Neuer (FC Bayern) during a Bundesliga match between FC Schalke 04 & FC Bayern Munich, final score 0-4, on September 21, 2013, in Schalke, Germany. 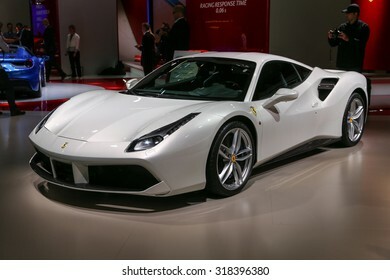 FRANKFURT - SEPT 16: Ferrari 488 GTB shown at the 66th IAA (Internationale Automobil Ausstellung) on September 16, 2015 in Frankfurt, Germany. 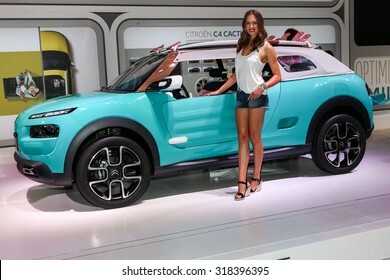 FRANKFURT - SEPT 16: Citroen Cactus M shown at the 66th IAA (Internationale Automobil Ausstellung) on September 16, 2015 in Frankfurt, Germany. 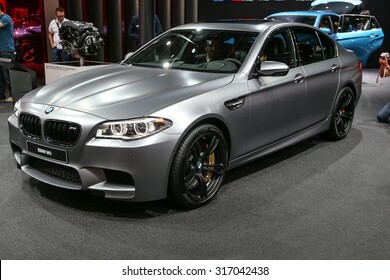 FRANKFURT - SEPT 15: BMW M5 shown at the 66th IAA (Internationale Automobil Ausstellung) on September 15, 2015 in Frankfurt, Germany. 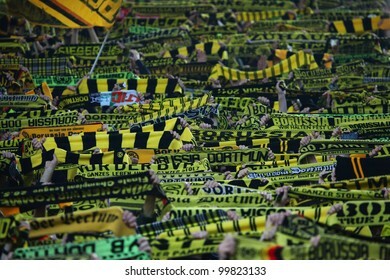 DORTMUND, GERMANY - OCT 1: BVB Fans celebrating during a Champions League match between Borussia Dortmund & Olympique de Marseille, final score 3-0, on October 1, 2013, in Dortmund, Germany. 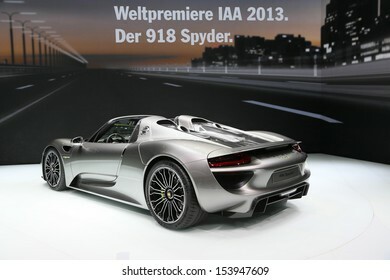 FRANKFURT - SEPT 10: World Premiere new Porsche 918 Spyder shown at the 65th IAA (Internationale Automobil Ausstellung) on September 10, 2013 in Frankfurt, Germany. 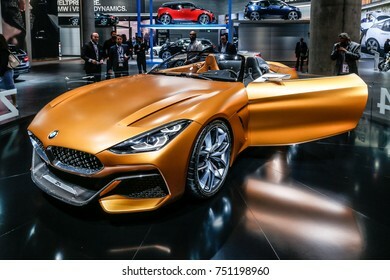 FRANKFURT - SEPT 13: BMW Z4 Cabrio shown at the 67th IAA (Internationale Automobil Ausstellung) on September 13, 2017 in Frankfurt, Germany. 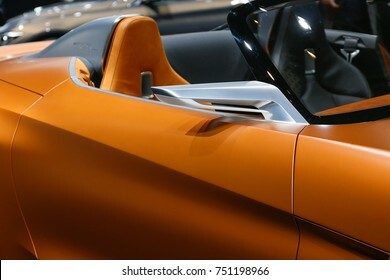 FRANKFURT - SEPT 13: Mirror of BMW Z4 Cabrio shown at the 67th IAA (Internationale Automobil Ausstellung) on September 13, 2017 in Frankfurt, Germany. 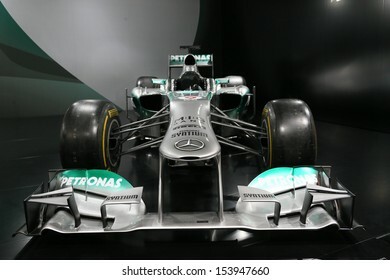 FRANKFURT - SEPT 10: Formula 1 Car Mercedes F1 W04 shown at the 65th IAA (Internationale Automobil Ausstellung) on September 10, 2013 in Frankfurt, Germany. 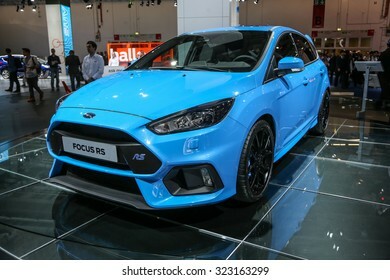 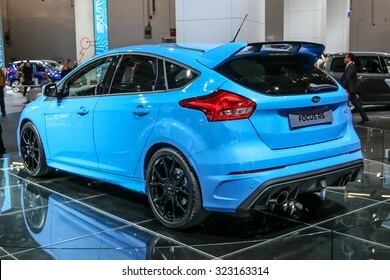 FRANKFURT - SEPT 15: Ford Focus RS shown at the 66th IAA (Internationale Automobil Ausstellung) on September 15, 2015 in Frankfurt, Germany. 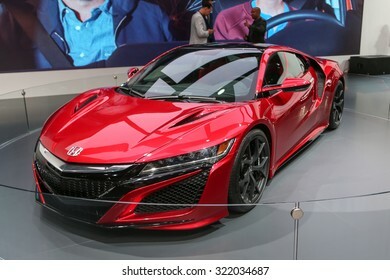 FRANKFURT - SEPT 15: Honda NSX shown at the 66th IAA (Internationale Automobil Ausstellung) on September 15, 2015 in Frankfurt, Germany. 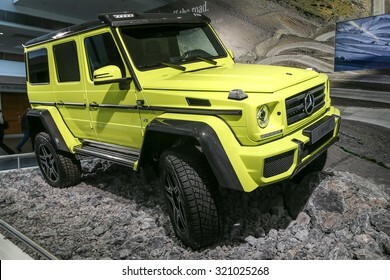 FRANKFURT - SEPT 15: Mercedes Benz G 500 4X4Â² shown at the 66th IAA (Internationale Automobil Ausstellung) on September 15, 2015 in Frankfurt, Germany. 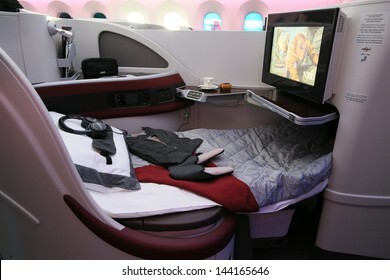 PARIS - JUN 17: Business Class Bed of Qatar Airways Boeing 787 Dreamliner shown at 50th Paris Air Show on June 17, 2013, Paris, France. 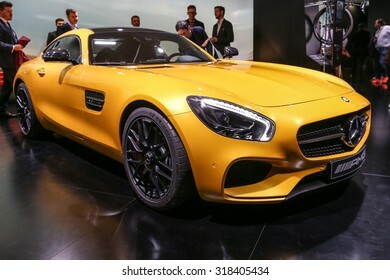 FRANKFURT - SEPT 15: Mercedes AMG GT S shown at the 66th IAA (Internationale Automobil Ausstellung) on September 15, 2015 in Frankfurt, Germany. 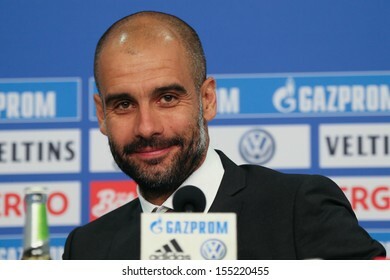 SCHALKE, GERMANY - SEP 21: Coach Josep Pep Guardiola (FC Bayern Munich) after a Bundesliga match between FC Schalke 04 & FC Bayern Munich, final score 0-4, on September 21, 2013, in Schalke, Germany. 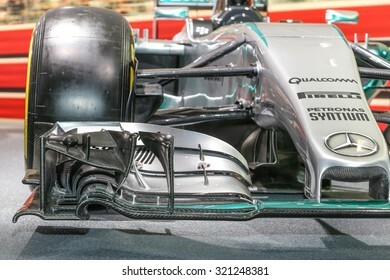 SCHALKE, GERMANY - SEP 21: Philipp Lahm (FC Bayern) during a Bundesliga match between FC Schalke 04 & FC Bayern Munich, final score 0-4, on September 21, 2013, in Schalke, Germany. 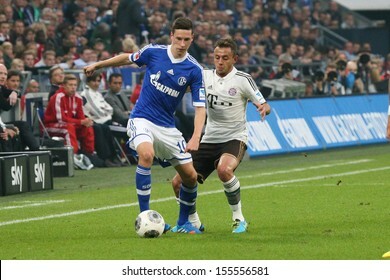 SCHALKE, GERMANY - SEP 21: Julian Draxler (Schalke 04) vs. Rafinha (FC Bayern) during a match between FC Schalke 04 & FC Bayern Munich, final score 0-4, on September 21, 2013, in Schalke, Germany. 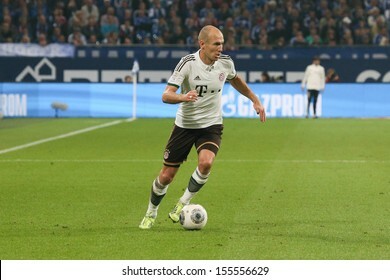 SCHALKE, GERMANY - SEP 21: Arjen Robben (FC Bayern) during a Bundesliga match between FC Schalke 04 & FC Bayern Munich, final score 0-4, on September 21, 2013, in Schalke, Germany. 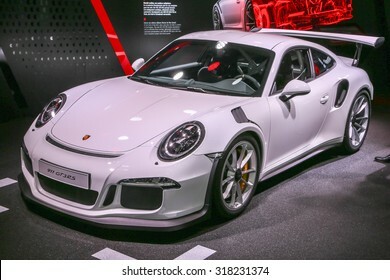 FRANKFURT - SEPT 10: Porsche 911 GT3 shown at the 65th IAA (Internationale Automobil Ausstellung) on September 10, 2013 in Frankfurt, Germany. 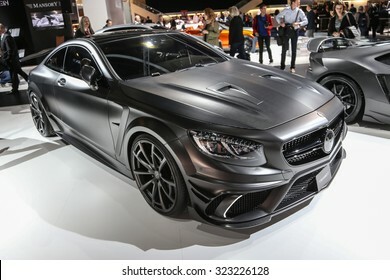 FRANKFURT - SEPT 15: Mansory Mercedes S Class Coupe AMG S63 shown at the 66th IAA (Internationale Automobil Ausstellung) on September 15, 2015 in Frankfurt, Germany. 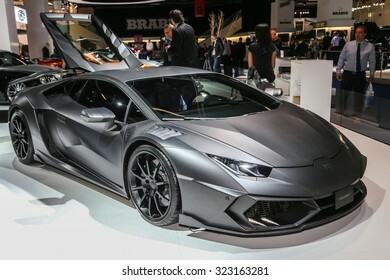 FRANKFURT - SEPT 16: Mansory Carbonado Black Diamond Lamborghini Aventador shown at the 66th IAA (Internationale Automobil Ausstellung) on September 16, 2015 in Frankfurt, Germany. 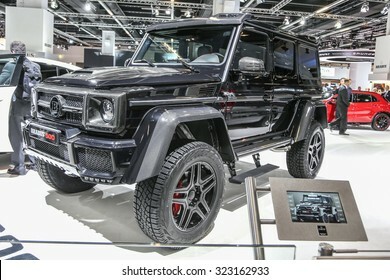 FRANKFURT - SEPT 16: Mercedes-Brabus G 500 4x4 shown at the 66th IAA (Internationale Automobil Ausstellung) on September 16, 2015 in Frankfurt, Germany. 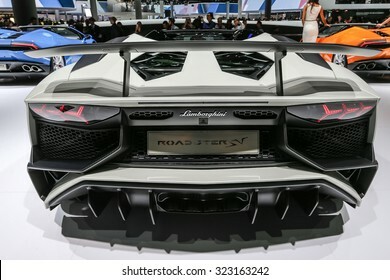 FRANKFURT - SEPT 15: Lamborghini Aventador LP 750-4 SV Roadster shown at the 66th IAA (Internationale Automobil Ausstellung) on September 15, 2015 in Frankfurt, Germany. 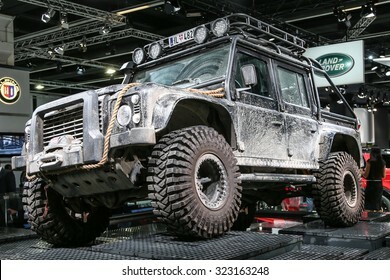 FRANKFURT - SEPT 16: Land Rover Defender Spectre shown at the 66th IAA (Internationale Automobil Ausstellung) on September 16, 2015 in Frankfurt, Germany. 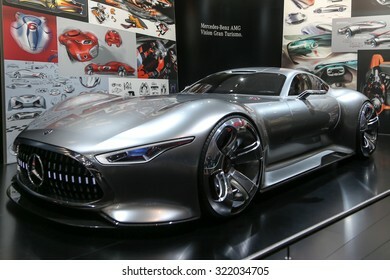 FRANKFURT - SEPT 15: Mercedes Benz AMG Vision Gran Turismo shown at the 66th IAA (Internationale Automobil Ausstellung) on September 15, 2015 in Frankfurt, Germany. 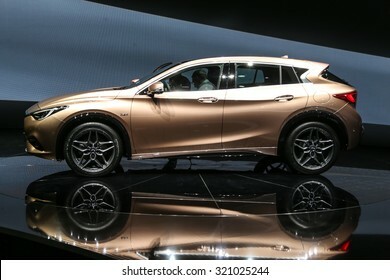 FRANKFURT - SEPT 15: Infiniti Q30 shown at the 66th IAA (Internationale Automobil Ausstellung) on September 15, 2015 in Frankfurt, Germany. 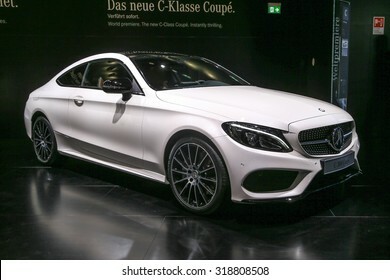 FRANKFURT - SEPT 16: Mercedes Benz C-Class Coupe shown at the 66th IAA (Internationale Automobil Ausstellung) on September 16, 2015 in Frankfurt, Germany. 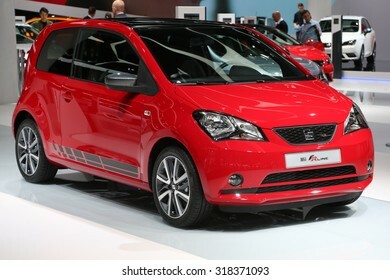 FRANKFURT - SEPT 16: Seat Mii FR Line shown at the 66th IAA (Internationale Automobil Ausstellung) on September 16, 2015 in Frankfurt, Germany. 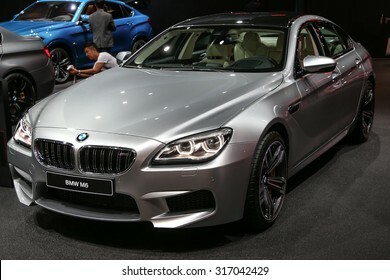 FRANKFURT - SEPT 15: BMW M6 shown at the 66th IAA (Internationale Automobil Ausstellung) on September 15, 2015 in Frankfurt, Germany. 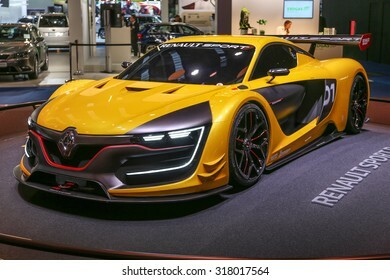 FRANKFURT - SEPT 10: Spark Renault SRT 01E Formula E shown at the 65th IAA (Internationale Automobil Ausstellung) on September 10, 2013 in Frankfurt, Germany. 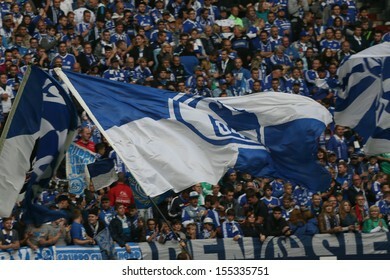 SCHALKE, GERMANY - SEP 21: Schalke 04 Fans celebrating during a Bundesliga match between FC Schalke 04 & FC Bayern Munich, final score 0-4, on September 21, 2013, in Schalke, Germany. 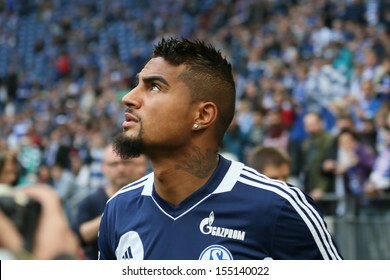 SCHALKE, GERMANY - SEP 21: Kevin-Prince Boateng (Schalke 04) during a Bundesliga match between FC Schalke 04 & FC Bayern Munich, final score 0-4, on September 21, 2013, in Schalke, Germany. 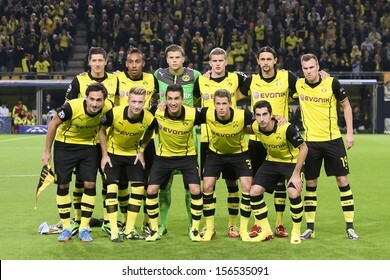 DORTMUND, GERMANY - OCT 1: BVB Team prior to the Champions League match between Borussia Dortmund & Olympique de Marseille, final score 3-0, on October 1, 2013, in Dortmund, Germany. 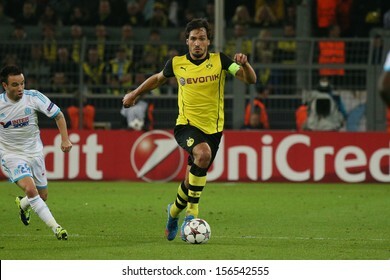 DORTMUND, GERMANY - OCT 1: Mats Hummels (BVB) during a Champions League match between Borussia Dortmund & Olympique de Marseille, final score 3-0, on October 1, 2013, in Dortmund, Germany. 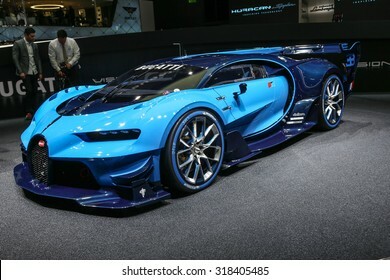 DORTMUND, GERMANY - OCT 1: Pierre-Emerick Aubameyang (BVB) during a Champions League match between Borussia Dortmund & Olympique de Marseille on October 1, 2013, in Dortmund, Germany. 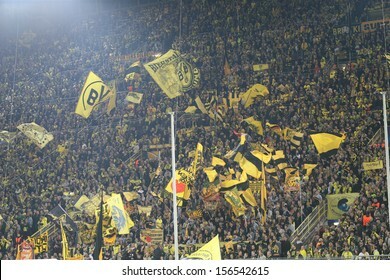 DORTMUND, GERMANY - APRIL 11: BVB Dortmund Fans before a Bundesliga match between BVB Borussia Dortmund & FC Bayern Munich, final score 1-0, on April 11, 2012, in Dortmund, Germany. 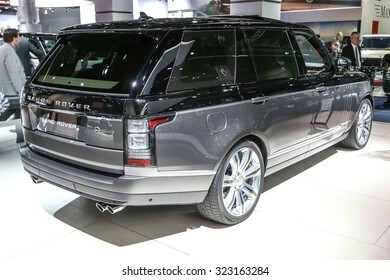 FRANKFURT - SEPT 15: Range Rover Sport SVR Special Vehilce Operation shown at the 66th IAA (Internationale Automobil Ausstellung) on September 15, 2015 in Frankfurt, Germany. 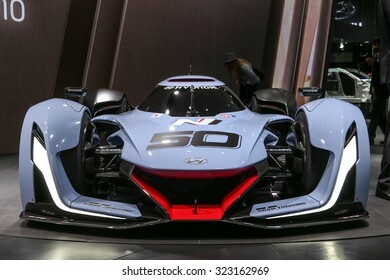 FRANKFURT - SEPT 15: Hyundai N 2025 Vision Gran Turismo shown at the 66th IAA (Internationale Automobil Ausstellung) on September 15, 2015 in Frankfurt, Germany. 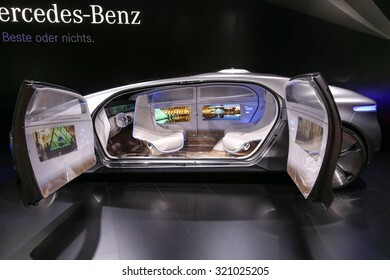 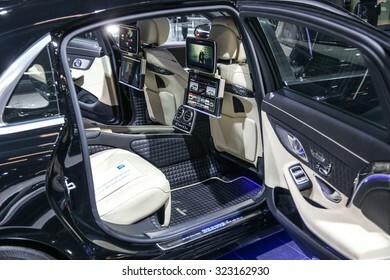 FRANKFURT - SEPT 16: Seat of Mercedes Brabus S-Class 900 shown at the 66th IAA (Internationale Automobil Ausstellung) on September 16, 2015 in Frankfurt, Germany. 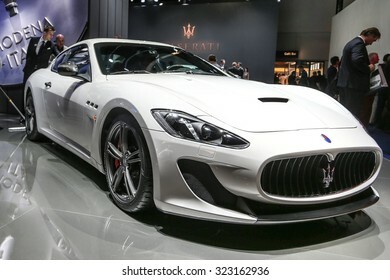 FRANKFURT - SEPT 15: Maserati Gran Turismo MC Stradale shown at the 66th IAA (Internationale Automobil Ausstellung) on September 15, 2015 in Frankfurt, Germany. 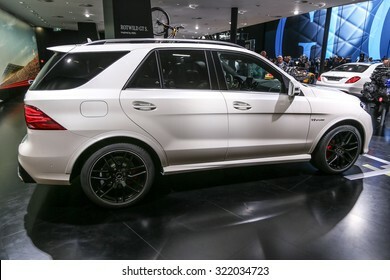 FRANKFURT - SEPT 16: Mercedes AMG GLE 63 S 4Matic shown at the 66th IAA (Internationale Automobil Ausstellung) on September 16, 2015 in Frankfurt, Germany. 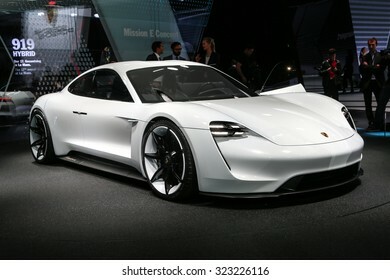 FRANKFURT - SEPT 15: Porsche Mission E Concept Car shown at the 66th IAA (Internationale Automobil Ausstellung) on September 15, 2015 in Frankfurt, Germany. 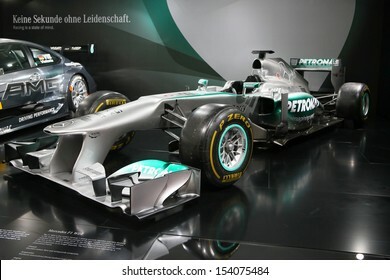 FRANKFURT - SEPT 16: Details of Mercedes AMG Petronas Formula 1 W06 shown at the 66th IAA (Internationale Automobil Ausstellung) on September 16, 2015 in Frankfurt, Germany. 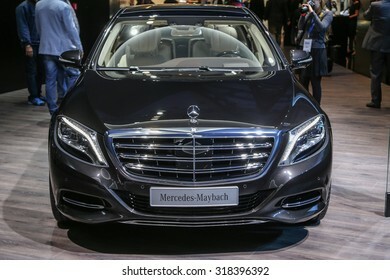 FRANKFURT - SEPT 16: Mercedes Maybach S 600 shown at the 66th IAA (Internationale Automobil Ausstellung) on September 16, 2015 in Frankfurt, Germany. 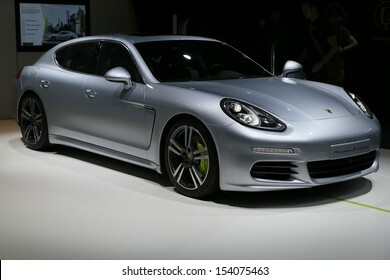 FRANKFURT - SEPT 10: Porsche Panamera S E-Hybrid shown at the 65th IAA (Internationale Automobil Ausstellung) on September 10, 2013 in Frankfurt, Germany. 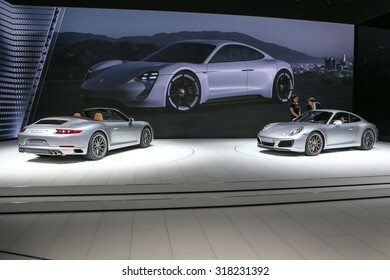 FRANKFURT - SEPT 16: Porsche 911 Carrera S Cabrio and 911 Carrera S shown at the 66th IAA (Internationale Automobil Ausstellung) on September 16, 2015 in Frankfurt, Germany. 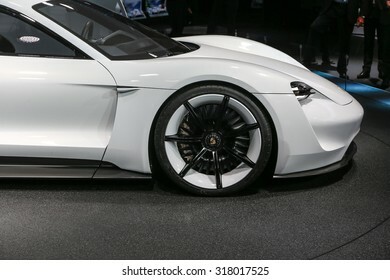 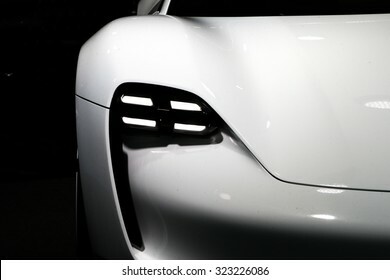 FRANKFURT - SEPT 16: Details of Porsche Mission E Concept World Premiere shown at the 66th IAA (Internationale Automobil Ausstellung) on September 16, 2015 in Frankfurt, Germany.